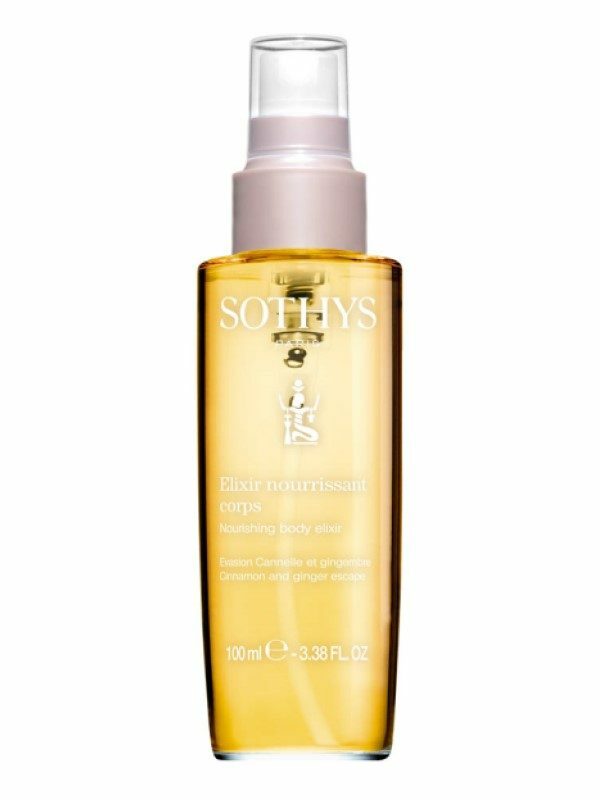 This nourishing body oil takes you on an aromatic amber sensorial escape. For soft, satiny and delicately perfumed skin. A magical ’dry’ body oil with a subtle aroma, infused with exotic spices and essential oils, leaves the skin with a silky satin-like finish. Warming essential oils of ginger, nutmeg, mandarin, orange and cinnamon in a base of Marula and Corn oil have a relaxing effect on the senses while protecting the skin with a unique non-greasy (dry) finish.